What is my library ID number? Don't have an ID card? You can figure out your library borrower ID number by following a formula. Your 14-digit library borrower ID number is 20511 + 7 digit DePaul ID number + 00. 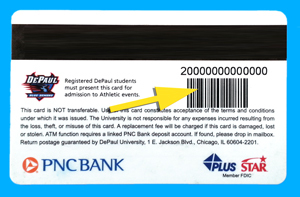 For example, if your DePaul ID number is 7777777, your library borrower ID would be 20511777777700.